The legendary Rajinikanth is undoubtedly one of the most decorated and celebrated names in Indian cinema today. Fondly called ‘Thalaivaa’, the living legend has established himself as a source of inspiration for fans thanks to his charismatic personality, stylish onscreen image and of course his humble nature. Moreover, he has earned the respect of fans as he is a self-made fan in the truest sense. Today, as Rajinikanth turns a year older, let us take a quick look at his life and celebrate what has truly been a wonderful career. Rajini was born on December 12 1950 in Karnataka to Marathi parents. During his formative years, he worked various jobs including that of a bus conductor and made ends meet. In 1975, he entered the Tamil film industry with ‘Apoorva Raagangal’ and began a new chapter in life. Thereafter, in 1980’s he rose to fame with films such as ‘Billa’ and ‘Naan Sigappu Manithan’. Interestingly, during this phase, Rajini starred in the remakes of Amitabh Bachchan starrers like ‘Khuddar’( ‘Padikkadavan’) and ‘Don’(‘Billa’), establishing himself as a force to be reckoned with. The 1990’s saw Rajinikanth consolidate his standing even further and star in classics such as ‘Baasha’ and ‘Muthu’ to name a few. In 2002, he suffered a major setback when his highly ambitious ‘Baba’ bombed at the box office and received negative reviews along the way. After a short hiatus, Rajinikanth returned to the big screen with ‘Chandramukhi’. Directed by P Vasu, it fared exceptionally well at the box office and helped him resurrect his career. There has been no stopping the Rajini Tsunami since then. Interestingly, Rajinikanth’s popularity is in no way restricted to to Tamil films alone. He has starred in Hindi, Telugu, Malayalam, Kannada films as well. Some of his most popular Hindi films films are ‘Hum’ and ‘Andhaa Kanoon’. 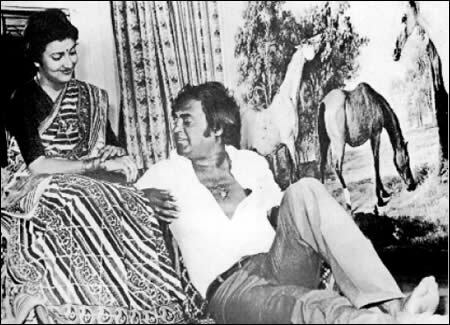 Interestingly, Rajinikanth has also starred in an English film (‘Bloodstone’) and a Bengali film (‘Bhagya Devta’). 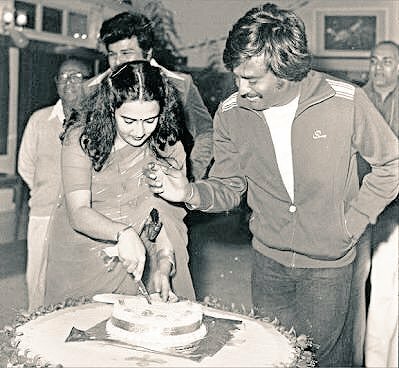 On the personal side of things, Rajini married a lady named Latha in 1981and began a new chapter in life. The two fan two daughters Soundarya and Aishwarya. Both these ladies are qwuite popular in their own right. Soundarya is best known for directing ‘VIP 2’ while Aishwarya is known for helming the much-loved ‘3’. Sometime ago, Soundarya had spoken about her bond with her dad and called him the best dad ever. “He has always been a supportive and great father. I am blessed to be his daughter. I feel that over the years our relationship has evolved a lot. My favourite superstar film will always be ‘Dalapathy’. It was the first film I saw in a theatre. I was very small at that time and enjoyed the experience a lot,” she had told Pinkvilla South in an exclusive chat. Similarly, Aishwarya too shares a lovely relationship with her dad. She had once told a leading website that Rajini’s ‘this too shall pass’ philosophy has always helped her in life. “It’s from my dad (Rajinikanth) and he always tells this to everybody, ‘This too shall pass’. It’s the best life lesson for anybody. Do not hold on to anything too much, whether it’s happiness or sorrow,” she had added. On a related note, the star currently has ‘2.o’ and ‘Kaala’ in his kitty. ‘2.0’ is a sci-fi thriller and has been directed by S Shankar. A sequel to the 2010 release ‘Enthiran’, it will see him reprise his Chitti character from the first part and will hit screens in April 2018. In it, Rajini will be seen alongside Amy Jackson and Akshay Kumar. 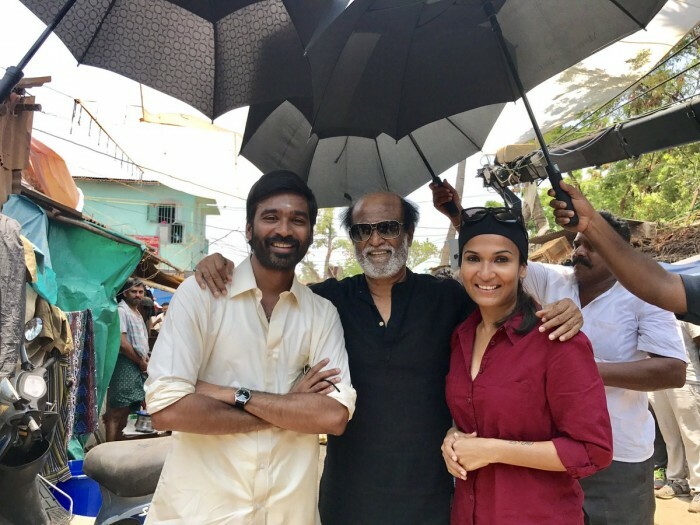 As far as ‘Kaala’ is concerned, it is a crime-drama and will see Rajinikanth essay the role of a gangster. 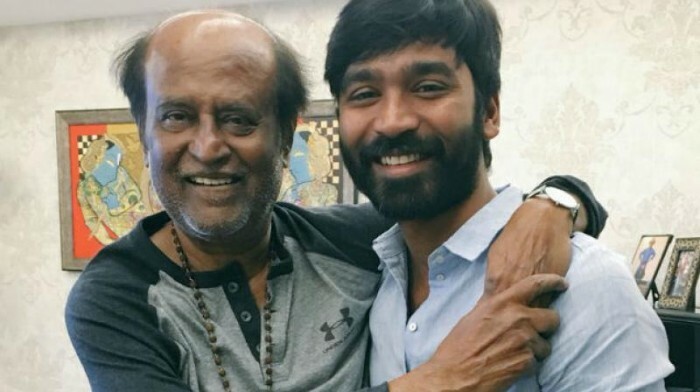 The film has been produced by Dhanush and is slated to hit screens after ‘2.0’. In it, he will be seen alongside Huma Qureshi and Nana Patekar. Sometime ago, Huma had praised him and said that he is humility personified. Well, we wish Thalaiva a happy birthday and hope that he continues entertaining us for a long time to come. Here are some priceless photos of the superstar. So, did you like these? Comments, please!